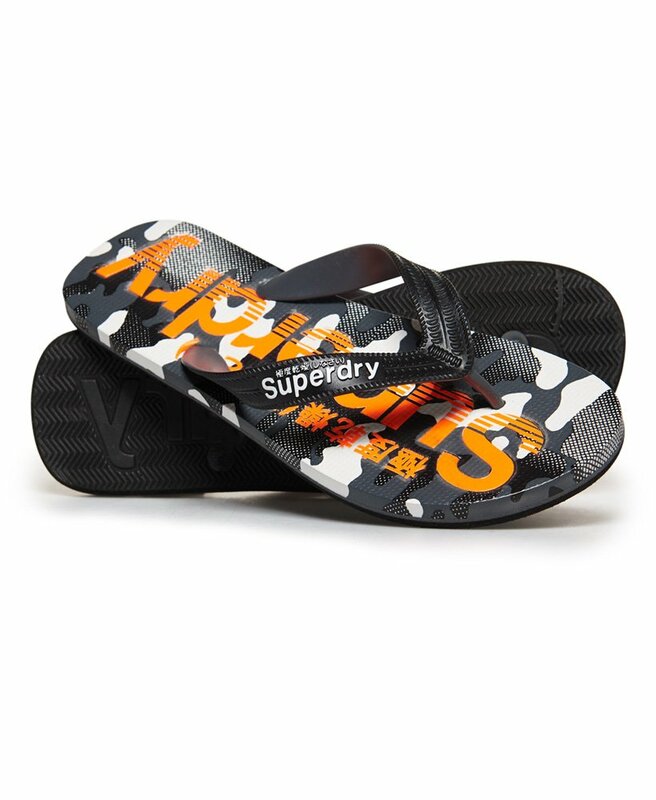 Superdry men's all over print flip flops. A classic pair of flip flops featuring textured upper straps and a Superdry branded sole. These flip flops are completed with a Superdry logo on the strap.